The more you talk with Amazon FBA sellers from all walks of life, the more you understand why each seller prefers the sourcing model used in their business. Some folks love the thrill of the hunt, and they thrive on getting out there and scanning to their heart’s content at garage sales and thrift stores. Other sellers enjoy working retail arbitrage into their daily routine, or they love the huge profits that come from RA during the Q4 selling season. Some sellers live in a remote area or their time is limited, so they choose to do online arbitrage (OA) or wholesale. Still others like all aspects of product development and marketing, so they dive into private labeling. Today I want to focus on one method of sourcing for Amazon FBA: sourcing from wholesale suppliers. We’re going to have a couple more posts after this one, so stick with me to learn more about where to find wholesale sources and other wholesale time hacks. But for today, let’s discuss the top 9 reasons why you should consider adding wholesale sourcing to your Amazon FBA business. We’re all in this business to make profits, right? Well, selling items sourced via wholesale has huge profit potentials. 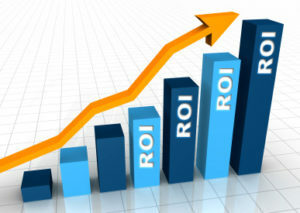 You can find items with great return on investment (ROI) for resale on Amazon because you buy them at a low wholesale price, compared to what other sellers are getting by buying from retail sources. Buying via a wholesale account gives you the opportunity to search their catalog for several different profitable items in one product line, and you can then buy larger quantities of those items than you would be able to if sourcing via RA or OA. Once you’ve done your research on the sales history data on Keepa, as well as researching how much your competition has in stock (we use the How Many? extension for doing this research), you can make an informed decision and buy as many of an item as you feel comfortable buying, rather than being limited to what’s on the shelf at the retail store. But you don’t have to worry about making a huge wholesale order of only one item to meet a company’s minimum purchase requirement. You can order a few of several different items, test them out, assess the results of your sales, and make a decision about reordering and possibly going deeper. “Replen” is short for replenishable. A replenishable item is one that is profitable to buy over and over again because you can sell through the item at a decent rate. Replens can be a lovely cash cow for your business, since all you have to do is order, send to FBA, sell, order, send to FBA, sell, and repeat, repeat, repeat. 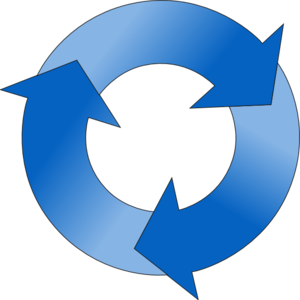 Finding a replen today saves you time tomorrow by not having to repeat your sourcing research once the item sells out. You’ve already done the research – now all you need to do is reorder and send that item in again. It’s a much more time-efficient process than the one-offs that come with RA, OA, garage saling, and thrifting. If an item isn’t available from retail sources at a low enough price to resell on Amazon BUT you can find it at a wholesale source, you will have lower competition. If you’re sourcing items that anyone can find at a retail store and resell for profit, it’s often only a matter of time until a ton of sellers jump on that listing. Sourcing via wholesale opens the door of opportunity to find unique items that RA and OA sellers can’t source at your buy cost. Once you have found several replens through wholesale sourcing, you can get to a place in your business where you have more predictable cash flow. Often with RA, OA, and thrifting, you will see ebbs and flows with your sales throughout the year, depending on what’s going on in your part of the country or in the stores where you like to source. Wholesale sourcing can provide more stability when it comes to ordering products to sell consistently throughout the year. Like I said above, finding a wholesale replen saves you a ton of time when it comes to not having to constantly be out sourcing for more one-off items to resell. It could take you all day to drive around town and spend $800 on RA finds, or you could spend a couple of hours doing wholesale research and find a great replen, place an $800 order, and then just reorder when you’ve sold out. Another way wholesale saves time is when it comes to prepping your inventory. Wholesale items won’t have stickers to remove, and they often (though not always) come already poly bagged. You also can save time in listing the items. Instead of having to list and price 20 one-offs from RA clearance, you could list and price one item with 20 multiples from a wholesale source. As your FBA business grows, you will need to find ways to scale the business. Scaling your business means being able to increase your output. There are only so many garage sales in your town every week, so unless you hire folks in other towns to source for you, you can’t scale an FBA business based on garage saling. Same with retail arbitrage – you only have so many hours in the day to drive to retail stores, so you will need to hire someone else to source if you want to scale your RA business. But with wholesale, it is much easier to keep your business simple, source large amounts of inventory, and process it without needing to hire help. In fact, if you use a prep and pack center (we like MyPrepCenter) to process your inventory, you can grow your Amazon FBA business even more through wholesale. We recently posted a poll in the Full-Time FBA Facebook group asking what the biggest fears were as an Amazon reseller. The number one fear on the list was account suspension. Many Amazon FBA sellers experience great anxiety over the thought of being suspended because of claims by brands or by customers, especially claims of inauthentic products. As of this writing, Amazon is accepting retail receipts as proof of your source for inventory, but it’s often more difficult to prove your case with Amazon using retail receipts than it is when using wholesale invoices – not to mention, at any point Amazon could stop accepting retail receipts altogether. Adding wholesale sources to your Amazon inventory gives you a level of protection for your seller account. Brand restrictions on Amazon can be tricky when you’re looking for good retail sources for inventory. There’s nothing worse than finding an awesome item for resale, only to discover you are restricted from selling that brand. But with wholesale sources, you have the potential to work with Amazon and the manufacturer to become a brand approved seller. It requires some time and effort to get approval, but if you’re successful, you have the potential to make even more profits with even lower competition. In some cases, you can even get an “Amazon exclusive” where you (or you and a small number of sellers) are the only one(s) allowed to sell that brand or a particular brand ASIN. 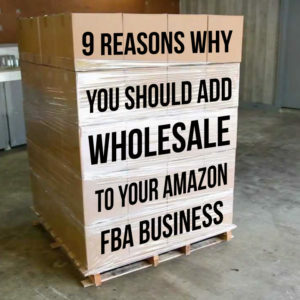 Now you have plenty of good reasons why you should consider adding wholesale to your Amazon FBA business. If you think you’re ready to take the next step, here’s a blog post about how to find profitable wholesale accounts. Great article. When you’re talking about branded products are you talking about the manufacturer? Yes, I’m talking about dealing with the brand manufacturers and buying directly from them and the invoices from them helping you get approved to sell them on Amazon if they happen to be restricted. I am presently doing some wholesale and I love it. There is some comfort in getting products that you know are new and I like building relationships! I am always open to learning more and can’t wait to see what you have to teach! Thank you for this info. Can you start out and do wholesale without having a warehouse or a lot of start up money? I am new to FBA, but already I want to look into this. I like thrifting, finding deals etc…, but I am seeing that I can take this even further, this is something I would love to teach my children too. What things do I need to really get started? Sounds like a pro website, front money, and communication skills is at least a part of it. Do you know of any business websites I can look at with this model in mind to see maybe what wholesalers are looking for? You don’t need a warehouse at all to do wholesale. I’ve been doing it out of my home for about a year now. If I ever order something that ends up being delivered on a pallet, I just make sure that the delivery company (who calls to set up delivery times) has a lift gate. Then when it’s delivered, they just roll the wholesale order into my garage and I can start processing it. To start, you need a resale certificate from your state and the capital to source your inventory. Communications skills and a website are a plus but not 100% necessary. Note that on the webinar, I’ll be offering a HUGE bonus (worth around $1000) if you purchase the wholesale course through my link. Stay tuned. I love your site! You are easy to understand. I’m considering the Wholesale route as it seems there is way less involved in order to get product to market. I also have had my own business with my husband for 23 years BUT I really am looking at this as an investment in our future so my husband and I can have a viable income for the long haul. He is in Commercial/Electrical Trade now but we want to travel and move to an online business for the future. How difficult is it to get approved by Amazon in Brand Registry to be an wholesaler for multiple accounts? Especially when you are a new seller? If you already have the wholesale account, it’s not that difficult to get approved to sell the items on Amazon. Thanks for the post! What do you mean by a wholesale account? And what does wholesaler for multiple accounts mean? Does it mean that you deal with multiple wholesalers/suppliers? Wholesale account means you’re buying directly from a wholesale company – either a manufacturer or a distributor of products. If you buy wholesale from multiple companies it means you have multiple accounts. What’s your opinion on buying wholesale and just having Amazon doing the labeling (or even poly bag) services? I’ve found there can be the added cost of double-shipping if sent to me or another 3rd party packing service provider and then to Amazon. I’ve done that before, but only after my first order where I make sure that the items I’m ordering are in the condition and quality that I expect them to be. You also need to find a wholesaler who is open to the idea. I have been researching becoming an Amazon FBA seller and I am wondering if it is possible to start out with wholesale? I’ve seen recommendations to start out with RA and OA but I’m wondering if starting out with wholesale is a viable option. Thank you for your time and attention. I look forward to hearing from you. It’s definitely possible to start with wholesale. Usually people recommend starting with RA or OA so that you can learn the basics of different categories and how sales rank works – without going too deep on a product. But it’s totally possible to start right with wholesale if you want to. Thank you so much for your quick response, Stephen! I appreciate the info! You don’t need your own brand unless you wanted to get into Private Labeling. I’m talking about finding good wholesale sources of items that you can sell on Amazon no matter what the brand is. BTW. The information you share is awesome! Thank you for your kind words about the info I share. It means a lot to me. Stephen, thanks for writing this! When I first started selling on amazon I was a total newbie and had some hard lessons learned. One of the worst was when I bought a truckload of beats by dre used headphones only to find out I needed explicit authorization from “Monster” to sell them on amazon! What a costly mistake that was.. If yeah… A good mistake to add to the list of things to be sure to check on… Make sure you’re approved to sell an item… and if not, see if invoices from your supplier or manufacturer can get you ungated. Stephen, we’re really enjoying your site and learning a lot. We’ve been FBA sellers for a few months now, and we want to branch out into buying wholesale. We’re focusing on beauty products, and the approval process with FBA is a bit confusing. They require that we provide a wholesale invoice showing we purchased the products – which is not a big deal – but how do we know they’ll approve us to sell? We don’t want to purchase inventory only to have them deny our application. And as a follow up, assuming we are approved for the first shipment, do we have to continue to provide wholesale invoices for all the items we intend to sell? Or once approved, are we free to sell items we find locally? Thanks for the help. When it comes to most gated categories on Amazon there are different levels of getting ungated. First is getting approved to sell in the category or sub-category. Secondly is getting approved to sell specific brands. Even if you’re approved to sell in a category, not all brands will be open for you to sell, so you’ll need to seek approval for some brands. And lastly, some specific ASINS will be gated, but this is more in Toys, Baby, and Clothing, categories. If you’re buying wholesale directly from the manufacturer, then your invoices (and possibly a letter from the brand) will help you get approved to sell that item on Amazon. I’ve only sold as an individual and recently got a professional account. How would you go about approaching these brands? I set up my LLC and got sellers permit, no website yet. Should I message these brands or should I create the website first? A website brings you more credibility, but I’d still reach out to them if a website is too far down the road. Take action and get these accounts if you can. I really appreciate YOU and all your work ! And do i need an LLC if i am doing wholesale ? If yes, how do i go about getting that done ? Contact a local CPA and they can set you up with a business account and reseller certificate. My biggest issue with wholesale is that I have a hard time finding wholesalers that will set me up with an account. I get tired of hearing or reading NO.! Any advice on how to become more successful finding and setting up wholesale accounts? I agree for the most part. But Wholesaling has it’s pro’s and con’s as well. For example: A lot of wholesale experts brag about all the sales and profits they are making. So many newbies fall into the trap that wholesaling is where it’s at. Not realizing that wholesaling is the most capital intensive business model. So if you don’t have deep pockets or access to large amounts of capital, your dead in the water. And as far as competition, in my experience, it’s not different, maybe even worse, because when doing RA, I only need to sell one or two items and I have my money back, plus profit. Not so with wholesaling. So my risk is very limited. But I do agree, if you have the capital to do wholesale, it can be great business model. But I look at it this way. Right now I’m averaging a 30% gross profit margin doing wholesaling. So let’s just say in a perfect world, I invested 10k on inventory and got it back with profit within the Amazon two week pay period. I would have made 3k. But that’s in a perfect world, which doesn’t happen in the Amazon world, because of competition, and my own human errors when it comes to picking profitable items. Hence why you have to have a lot of capital, patience and perseverance, even with the best training. I know it sounds like I’m bashing wholesaling, but I’m not. I just think people underestimate it’s challenges, cause they fall in love with the idea of being able to buy direct from suppliers or the manufacturer. Which can be a challenge unto itself. I can tell you this. If I could find a way massively scale my RA like with wholesaling. RA would blow the wholesale model out of the water, for the simple fact that the profit margins and cash profits off each item are far better. RA’s biggest problem is that as we all know, being restricted and being able to source enough and consistent products. But just imagine if we could combine the two models as one. Yes, every strategy has it’s pros and cons. And what might be a con to you, might be a pro to someone else. Different people have different business models, different capital available to them, and different likes/dislikes. Some people have the energy to do RA, while others get more excited about wholesale. The point is to find the strategy that “clicks” best for you and to run with it. It’s possible to make six-figures with RA. 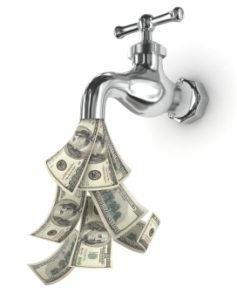 It’s possible to make six-figures with OA. It’s possible to make six-figures with Wholesale. It’s different for everyone. We do a balance of RA, OA, and wholesale and it works for us. This gives me an idea to work on a blog post about the pros/cons and differences between RA, OA, and wholesale. Stay tuned for that… But keep going with wholesale, as it’s an amazing opportunity to grow your business. Interested in switching to Wholesale FBA selling. I have seen multiple times that a personal website is recommended for your business, wholesale selling. I am somewhat confused on exactly what the website would look like. I would be interested in seeing an example. Any wholesale sellers website would work. I tried to google to find one and could not. Any website domain you can suggest to look at for a visual examples of content/design etc. Honestly, the business website can be as simple as one page that states the business name and maybe a business mission statement. It doesn’t have to be a fancy store or list out all of the products you sell. I use Wix (www.fulltimefba.com/wix) to create my website. They have free and paid options that look really good. I highly recommend them. If you purchased The Wholesale Formula, they have an entire module focused on creating a “business” website through Wix in under 20 minutes. It’s pretty easy once you get the hang of it. I’m not sure if I could find any examples, but don’t overcomplicate it. Just sign up for Wix, pick a template, upload a few pics, create a mission statement, and you can be done with it. I wish you all the best! Can the manufacturers ship directly to Amazon on your behalf? Thinking about larger shipments here and trying to alleviate shipping costs. It’s possible, but it depends on the willingness of the manufacturer. I’ve been able to work with wholesalers who shipped directly to Amazon for me and it worked out great. Some manufacturers will do it for a small fee, and others might not charge a fee at all. Good thinking of trying to alleviate shipping costs, and also to save some time in getting your products live on Amazon.